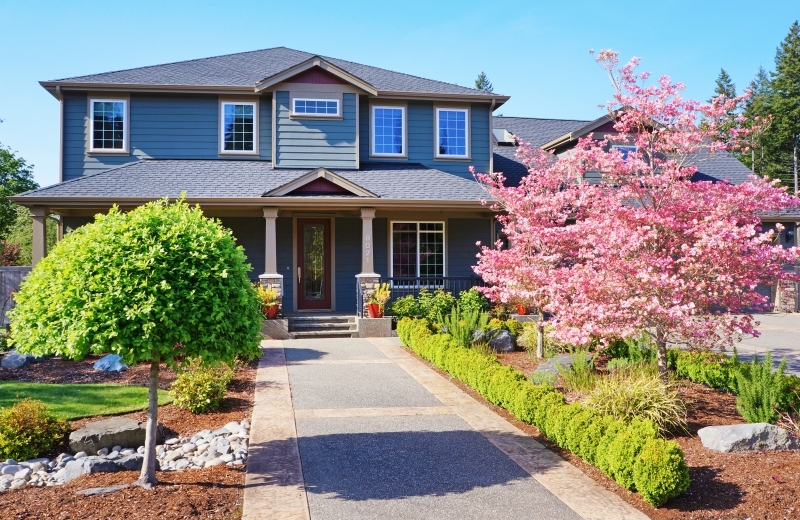 Landscaping Grand Rapids: Start Planning for Spring! As the cool weather starts to set in, it can be a hard time for garden fans! You might feel like you have to say goodbye to your beautiful landscaping until the spring. Actually, though, this is a great time to start making plans for next year’s gardens. Make a rough sketch of your yard as it is now and start dreaming up some new plans. Maybe you want to add some raised flower beds in the backyard, or you want to tear out those old bushes and put in some beautiful new trees. No art skills are required here; you just want to have a rough sketch to give you some idea of what you want to accomplish in the spring. Make a Pinterest board of ideas. Pinterest is a great place to find landscaping inspiration. Do a quick search and you’ll find thousands of landscaping ideas. Create a board to keep all of your favorite ideas and refine your rough sketch to incorporate those new plans. Once you know what you want to do, it’s time to shop! Seed catalogs start to arrive when we’re in the deepest parts of winter, so they are a refreshing reminder that spring will come again. Browse the catalogs and find the seeds and plants that will bring your vision to life. This is the most important part of planning for the spring! Our Grand Rapids landscaping team can help you bring all of your planning to life. We can prepare your landscaping for winter to keep it strong, then start to implement your plans when spring arrives again. Call us today to start our landscaping services now and start planning for spring! Call Our Landscaping Team Today!